An impact driver belongs in every workshop. And it has to put up with a lot in the daily routine of things. 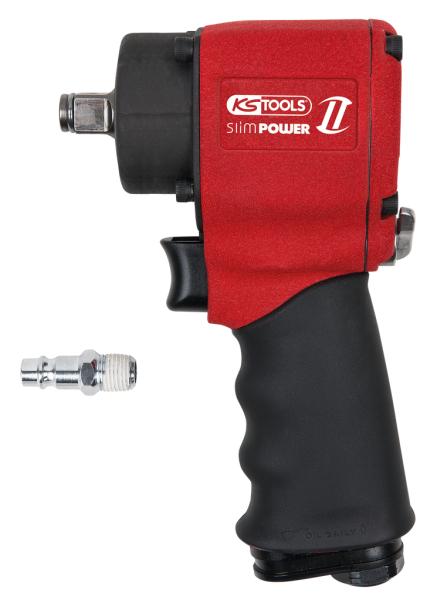 Tool specialist KS Tools has redesigned its half-inch mini impact driver and is now offering an even more powerful tool. 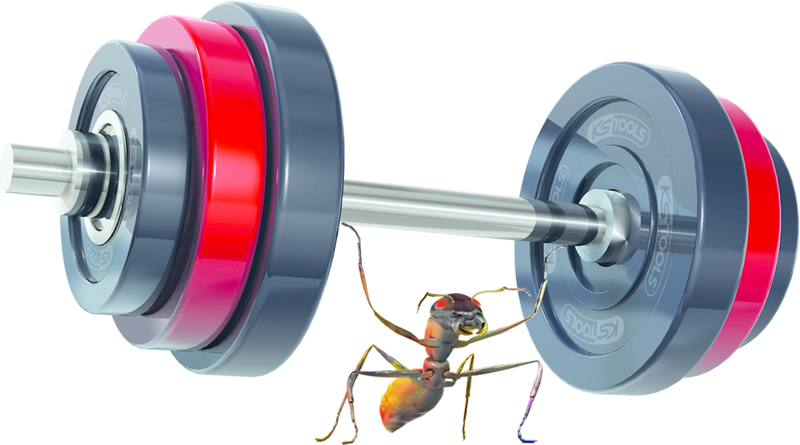 It is especially light and enormously strong for its size. Its loosening moment of 1,300 Nm makes it one of the punchiest partners in the workshop – in the truest sense. 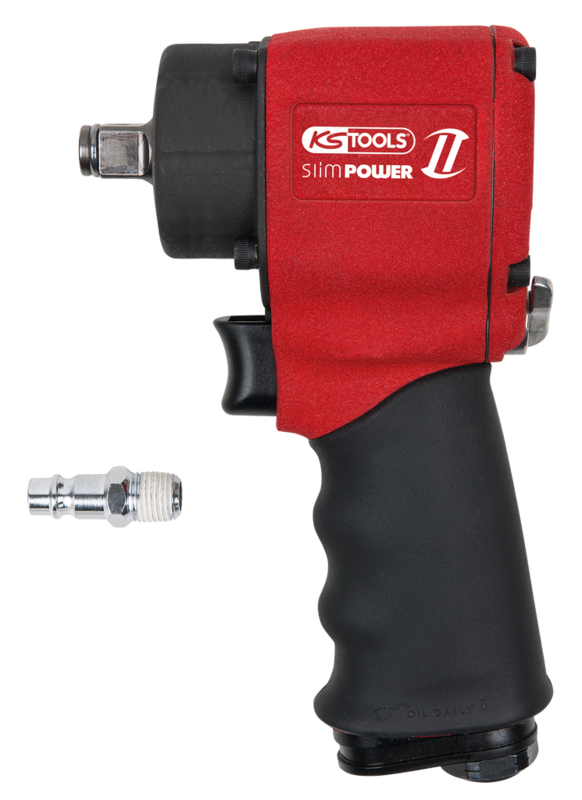 The KS Tools product number is 515.1250. The second generation of the half-inch mini impact driver with a high-performance double hammer striking mechanism, is the business. 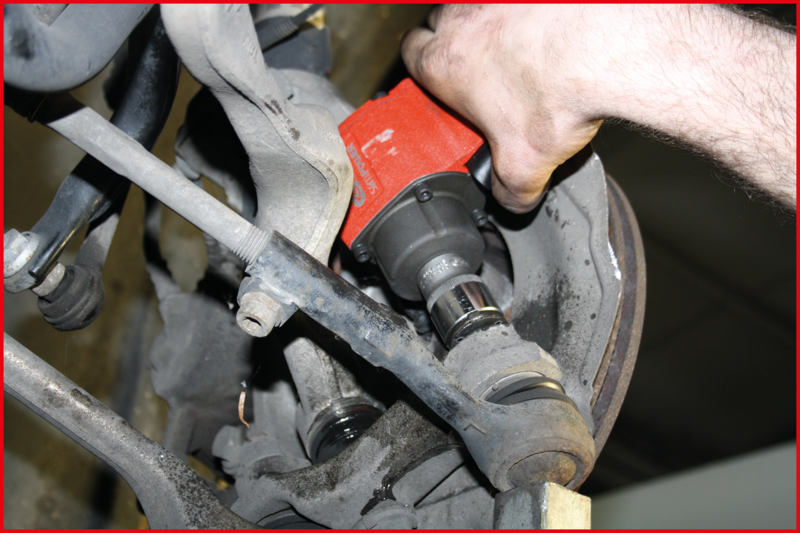 Two forged ring hammers provide a continuous torque build-up. This brings the handy lightweight down to barely 1.4 kilograms. A highlight for this performance class is the enormously high loosening moment of 1300 Nm. This enables even screwed fittings which are stuck fast to be loosened effortlessly. With the build being so compact, it can also be handled easily in tight spaces. Because its low corner-to-corner dimension of only 90 millimetres makes it suitable for working in places which conventional equipment can only access with difficulty. Due to its balanced centre of gravity and the easily reached operating elements, the equipment makes for fatigue-free work in daily workshop use. Particularly with tyre changing, but also when working on bolts around the undercarriage and engine, it performs well. Its non-slip soft grip handle ensures the mechanic‘s hand is protected from the cold exhaust air and strong vibration. 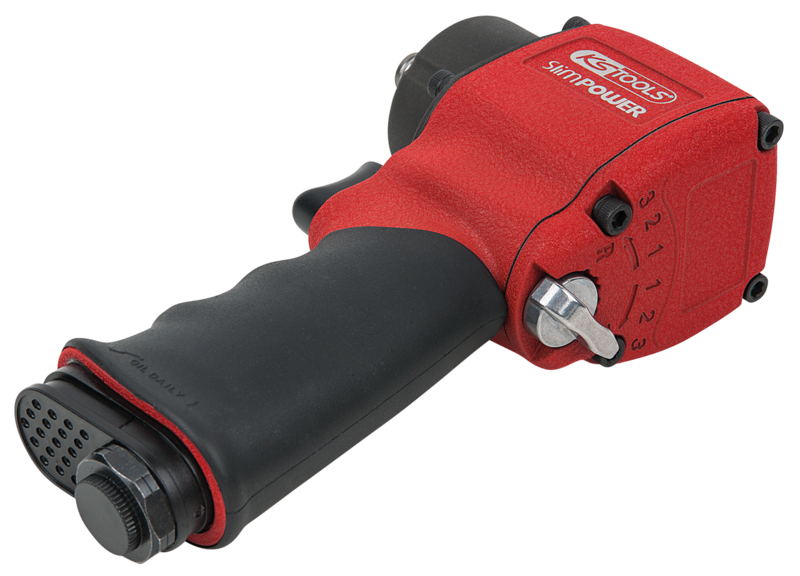 The practical and smooth switchover lever for left and right hand rotation means the impact driver can be operated with only one hand. The torque has three-step adjustment in both left and right hand directions. 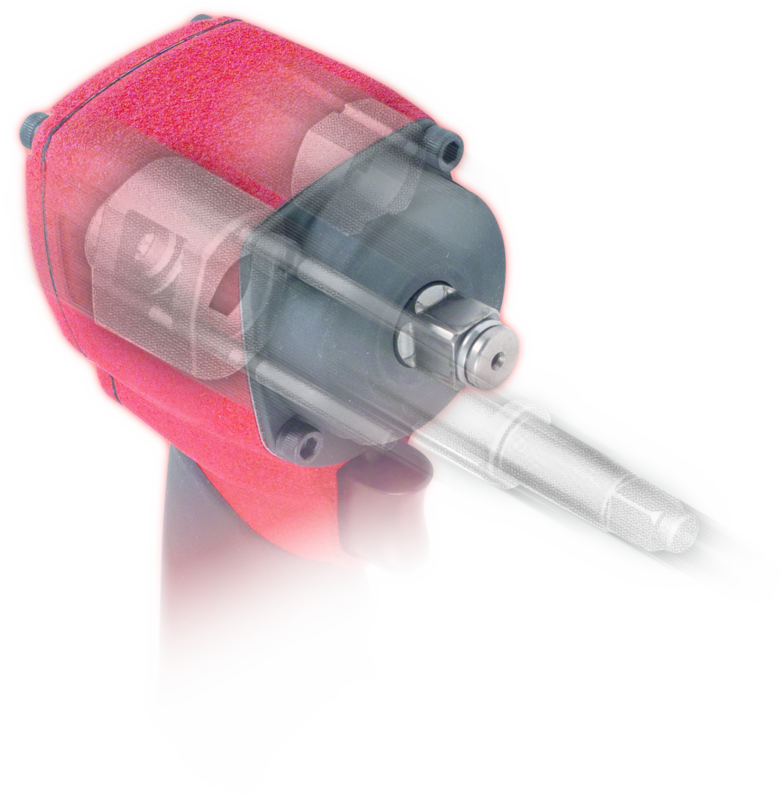 The rotary speed can be finely controlled at the trigger, enabling gentle and precise work on screwed connections. Ultimately, the robust design of the equipment will ensure a particularly long service life.